Kenya is a country with 42 tribes, each tribe different, with its own language culture and history. Ever since Independence the different tribes have tried to live at peace with each other. While on the surface it may seem like they have achieved a peaceful co-existance, under the surface is a whole lot of bitterness, anger and suspicion between the tribes. The results of which have been countless ethnic related violence and fragmentation. Could this violence be avoided if the different tribes just took time to understand each other, to appreciate their differences as well as similarities ? Tribe_less is an immersive multi-channel video installation that addresses the issue of tribal discrimination in Kenya. It consists of videos of candid interviews taken from Kenyans of different tribes who have been in one way or another victims of ethnic discrimination, discussing various topics about the different ethnic groups in Kenya and how they relate to each other. The spatial arrangement of the installation creates the impression of a private round table discussion. The individual interviews have been shot and edited in a way as to create a conversation between the videos, weaving a seamless narrative throughout the whole piece. 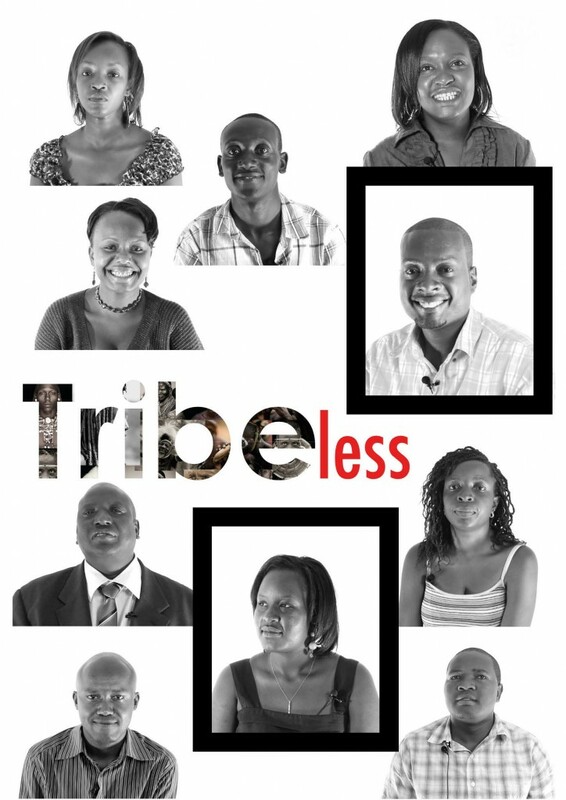 Tribe_less is created with a Kenyan audience in mind. The main objective of this project is to promote Positive Tribalism . It seeks to prompt the viewers to reflect on their preconceived notions of each other, and how these preconceived notions lead them to judge and discriminate each other. It leads the viewer to critically think of their role in ending ethnic discrimination, and how they can individually promote Positive Tribalism.